First of all, what exactly is a superdelegate, besides some big scary word that corporate media likes to use? From wikipedia: A “superdelegate” or an “unpledged delegate” is a delegate to the Democratic National Convention or Republican National Convention that is seated automatically, based on their status as current (Republican and Democratic) or former (Democratic only) party leader or elected official. Although “superdelegate” was originally coined and created to describe this type of Democratic delegate, the term has become widely used to describe these delegates in both parties, even though it is not an official term used by either party. additional unpledged delegates selected by each state party (in a fixed predetermined number), who are formally described (in Rule 9.B) as “unpledged add-on delegates” and who need not hold any party or elected position before their selection as delegates. In some presidential elections, superdelegates can play a major role in determining the Democratic nominee, especially in a close race. Unlike delegates though, superdelegates are not bound to represent the popular vote of a region at the Democratic National Convention; they are free to support any candidate for the nomination. Superdelegates are not selected on the basis of party primaries and caucuses in each state. Instead, superdelegate standing is based on the status of current or former officeholders and party officials, including all Democratic members of Congress. Superdelegate is a term that arose in the 1970s. Clinton’s camp declared in late August that they had 1/5th of the delegates needed to win and had secured the support of 440 of the roughly 700 superdelegates, although some have questioned that statement. In order for a candidate to win the party nomination for president, he or she must gain the majority of delegate votes. We’ll cover the delegates in another article. The purpose of superdelegates is for high-ranking Democrats to maintain some control over the nominating process and each state has it’s own unique amount of delegates and superdelegates. Based on the table below listing delegates and superdelegates and using Iowa as an example, and also assuming that Hillary Clinton has 75% of the superdelegates secured, if Bernie Sanders grabs 56 percent of the vote and Clinton grabs 44 percent of the vote, Bernie would get 25 delegates and Clinton 21. Add the superdelegates, 6 for Clinton and 2 for Bernie and it is a tie. Let’s look at a state like Illinois which has 160 delegates and 30 super delegates while also assuming that Hillary Clinton has 75% of the superdelegates on her side, if Bernie Sanders grabs 54.5 percent of the vote and Clinton grabs 45.5 percent of the vote, Bernie would get 87 delegates and Clinton 73. Add the superdelegates, 22 for Clinton and 8 for Bernie and it is a tie. Those figures also assume of course that no one is in the race, so to be on the safe side let’s give O’Malley 8% of the vote in Illinois. To do that we’ll shave 4% off of both Clinton and Sanders’ totals. In that scenario Sanders would need 50.5 percent of the vote to gain 81 delegates and 8 superdelegates, for a total of 89. Clinton would have 41.5 percent of the vote amounting to 66 delegates and 22 superdelegates for a total of 88 and O’Malley, assuming he’s got no super delegate support would have around 12. Keep in mind all figures have been rounded up. So all things considered, even if Clinton has the big edge in terms of superdelegates that have committed, Bernie still has the edge for winning the nomination. It’s no secret (except to some Clinton supporters) that Sanders has a massive following with the millennial crowd and with the politically disenchanted. Plus let’s not forget that Clinton had the edge over Obama with superdelegates but many of them switched teams and I’d look for some of the same thing to happen in 2016. Make no mistake, he’ll get his share of superdelegates and if the young people vote, Bernie wins easily. To take a line from quarterback Aaron Rodgers of the Green Bay Packers early in the 2014 season – RELAX. Looking forward to that article about delegates. I’ve been trying to find something to demystify that process for me but it’s tough…. I don’t know if I should try to become a delegate myself or if there’s a better way to get involved…. With all due respect to the writer this is indeed a big hurdle for the Bernie Sanders Campaign! I am not trying to come across negative here as I firmly believe that Bernie will sweep the nomination out from underneath Hillary, but he will likely have to do it with little Super-Delegate support and here is why: The Super-Delegate vote was derived to give the Democratic Party greater control in keeping “radical” candidates from winning the nomination after JFK did so (mind you those within the party did not expect it or plan for it). Bernie is just the type of candidate that this process was built for! For one, he is technically an Independent (even though he has caucused with Democrats his entire career). Secondly, for nearly the same reason as my last point he has no real party affiliation to the Democratic Party (he stands to change the very fabric that they benefit from)! 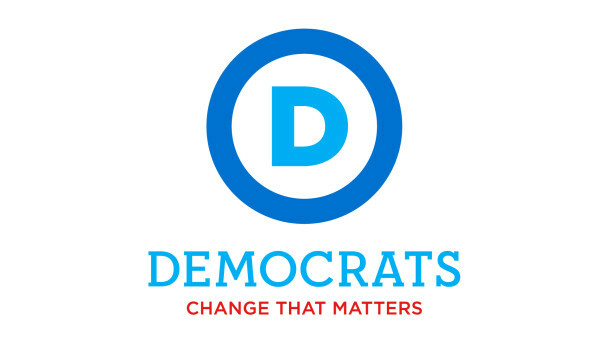 For anyone who has payed any attention to the DNC’s actions up until this point in the 2016 race it is obvious that there are sneaky and backhanded plots being played out :-/ To think that it will all change if Bernie garners the majority of the Delegate votes and that Super-Delgates of a Party whose sole porpose is the keep “radical” candidates like Bernie from gaining the Democratic nomination will simply switch their vote to the “Independent” candidate as the did for the “Democrat” Barack Obama in 2008 is a bit foolish! This is after all the last line of defense within the Democratic Party to nominate one of their own! We will have to wait to see what happens come Spring, but my bets are hedged with the Democratic Party using this line of defense to their full advantage! Not to be debbie downer here, but the reason those delegates switched to Obama is because he’s entirely pro-establishment. About the same as Hillary, really (though she’s even more). Need proof? Look at his pushing for the TPP. Look at his breaking of his words and upping more troops in Afghanistan now and pushing troops in Syria and such. Look at how he’s yet to push a single banker/executive at the high level into the DoJ to be easily prosecuted and put in jail (even when the banks admit guilt all they get is a slap on the wrist tiny fraction of their profits for a punishment). Look at how he’s been with pushing for cuts to Social Security and such? No, they switched because they knew he’d be in line with them. To think that the delegates would switch to Bernie when they know he won’t be in line with the establishment? Ya.. that’s why we have a problem. If the majority do want him and our delegates don’t listen, then it’s time for a riot. A massive and possibly even violent riot to scare them into shitting themselves and fleeing the country or finally adhering to the will of the people, not their donors and the establishment. Thank you for clarifying… Ashamed to say that this is the first time that I have found someone (Bernie) I believe in as President — which means read everything (except personal attacks). Primary reason for my ignorance is having to dedicate all my time to working a job to stay alive. I can see the motivation to keep us ignorant. But — I am not alone and we will not stay ignorant. And, so I thank you for your work. Thanks for the reply. My point was/is that the superdelegates account for roughly 14 percent of the required delegates to gain the nomination. Assuming Clinton has an edge of 75% to Bernie’s 25% in terms of superdelegate support, generally speaking he’d need to win by 10 percent. Based on the support I see in the world of the millenials and the politically disenchanted, I’d find it hard to believe he won’t beat her in most places by 10%. The superdelegates will play a role in this only if it is close. I will work on that soon. Yes, get involved as a delegate!!!! My point isn’t that they will necessarily switch, my point is that we won’t need them. That said, for the most part we are not talking about loyal people here, if it looks like supporting her will be committing political suicide, they will desert her like rats leaving a sinking ship. I agree with John and Andrew. If Bernie didn’t need the super-delegates then no other candidate either. Indeed, Bernie is anti-establishment and Independent, not the poster child the DNC is looking for. But Hillary is and you can bet your bottom dollar that the DNC will do anything (think bribe, threat, etc.) to get her elected the first female president of the U.S. –a notch they covet. So yes! Become a delegate to support Bernie. But if you are uncomfortable dealing with the nasty nature of politics, then write to your senator and representative and demand they respect the will of the people and vote for Bernie and not the establishment. Well I’ll say this. Bernie is a brilliant man and has surrounded himself with people that know how the game is played – in case there is some concern that the Sanders camp is naive in regard to the superdelegates. If Bernie beats her by 10% then the superdelegates won’t matter, assuming she has a 75% to 25% superdelegate advantage. If the race is very close then the superdelegates will very much so be crowning her the queen. I do think that Bernie has a huge lead over her right now and therefore I predict the superdelegates won’t enter the picture. I think you miss one factor, the media/convention. If Bernie were to lose because of super delegates it would become a media story and the story of the convention. It becomes ‘defeat of the popular vote’ which is a story the Democratic Party would rather not have, thus super delegates would change to Bernie before the story became big. I switched from an Independent to Democrat to vote for Bernie in the nomination. It’s happening, trust me. Thank you John, very well said!!! I think Bernie has been underestimated by the DNC and even now they think Bernie’s popularity is beginning to wane. I believe his supporters are both very loyal and active and I predict he will win the nomination. The young people will turn out this time. I have been raising awareness of the superdelegate problem since the very beginning of the campaign. I don’t trust any of them to support Bernie, which is why I have strongly advocated to keep registering those who have given up on politics or are disengaged from it. There is overwhelming support out there, if we can bring in 40% of the establishment vote, Bernie will win by the 61% majority necessary to negate the superdelegates. We need boots on the ground in every county in the U.S., and particularly support in the caucus states. I posted a great deal of useful information on my website, grassrootsforbernie.com, which was rendered obsolete by the fantastic professionals behind feelthebern.org. There is still a great deal of enlightening information there for those who wish to learn more. 61% is the only sure path to victory for us, we need to bring 10 million new voters to the primary. I’m afraid that unless you are very rich and a political insider your chances of being a super delegate are near zero. You could however become a delegate. See http://www.feelthebern.org for more info about that.